The most luxurious pencil in the world – Blackwings – have been used by prestigious recipients of the Academy, Pulitzer, Emmy and Grammy awards. The list is long and it includes some well known celebrities like Leonard Bernstein, John Steinbeck and Chuck Jones who has used the Blackwings pencil to create the world famous cartoon character Bugs Bunny and various other epic characters from the Looney Tunes. The origin of this pencil dates back to the 30s and at that point it was first launched by Eberhard Faber of the renowned stationary brand Faber. This pencil later lost its erstwhile popularity post-1998, despite its rich history – but it was not completely gone. In fact, the fans of the Blackwings pencil started to pay a good 40 dollars for a single pencil on eBay- such is its popularity! Later, artists worldwide began to notice a semblance between the quality of Palomino premium pencils and the iconic Blackwing pencils with similar performance. 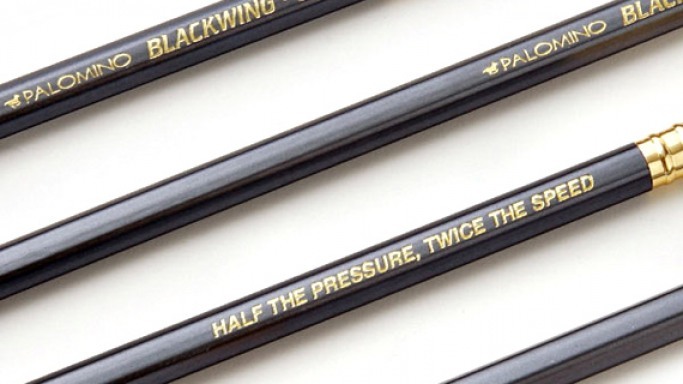 Hence, the founder and CEO of Palomino- Charles Berolzheimer (whose family association with the pencil industry dates back to mid 19th century) decided to revive the Blackwing pencil and re-launch it into the market in two forms- the original (“602”) for the fans, general users and writers and a softer lead pencil for artists. Even the original 602 model was created with the same black eraser, however, the other unconventional colored erasers used such as pink and so on- was not a favorably received by the traditionalists who hated to see their get altered. Blackwing pencils are supposedly the best writing instruments in the world and are particularly renowned for their shape, high quality graphite, replaceable eraser as well as the number of celebrities it has inspired along the years. Palomino has now decided to leverage the popularity of these pencils and has now launched an innovative range of sketchbooks, folios and luxury notebooks that are of a similar high quality.